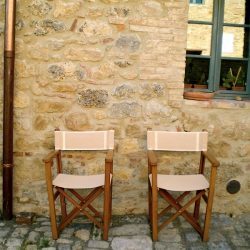 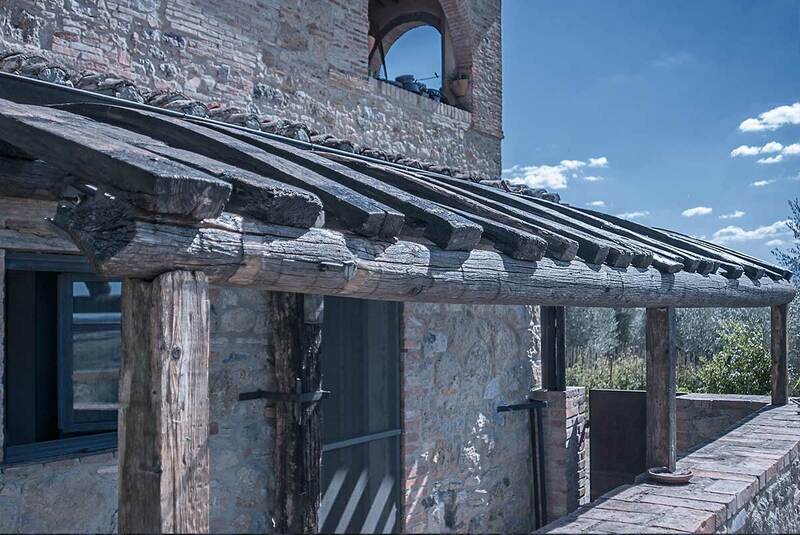 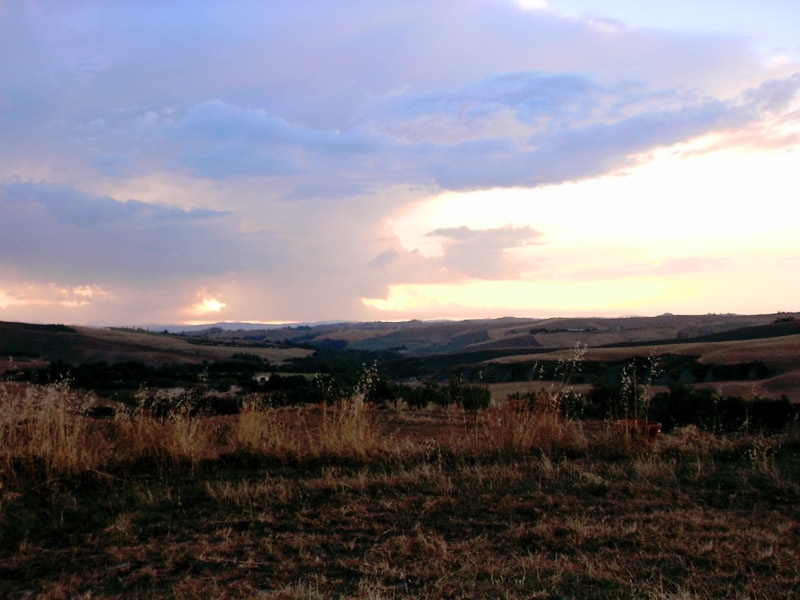 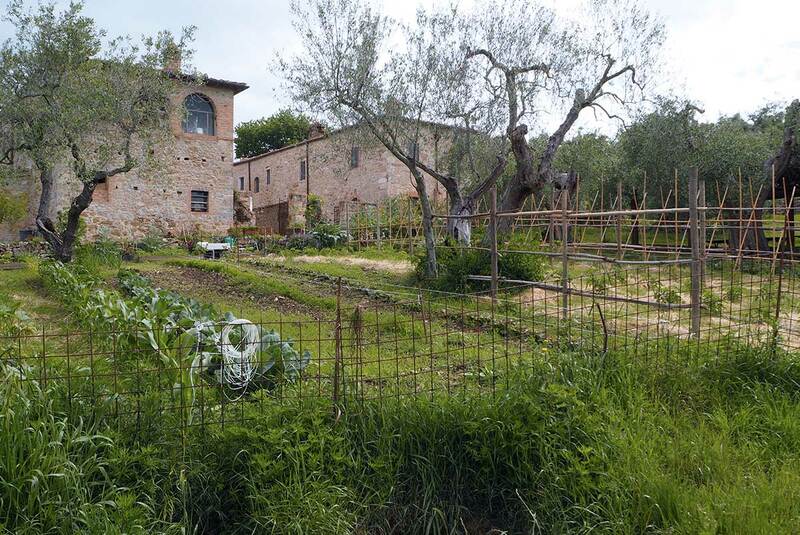 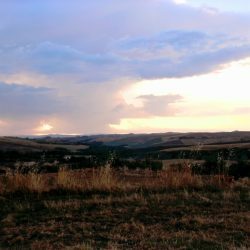 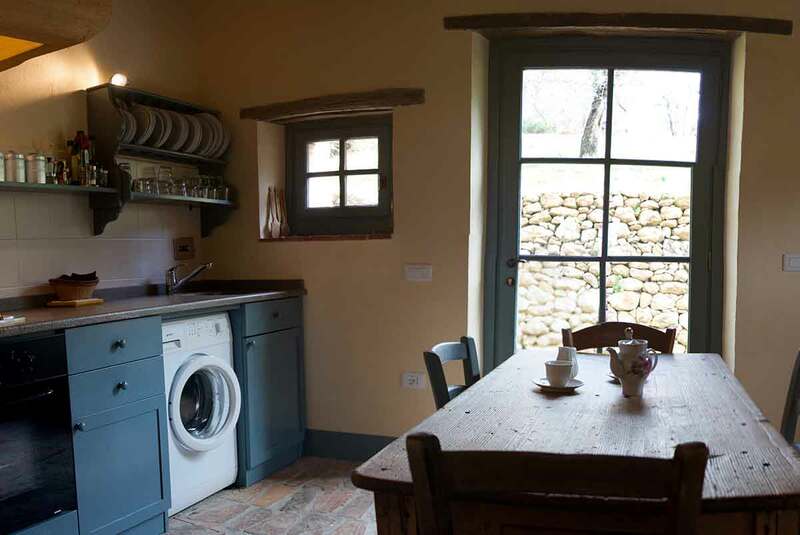 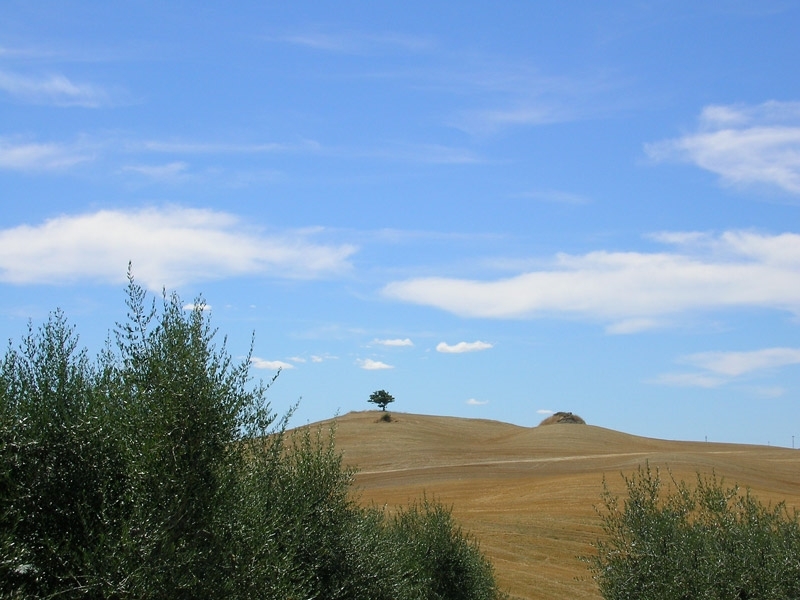 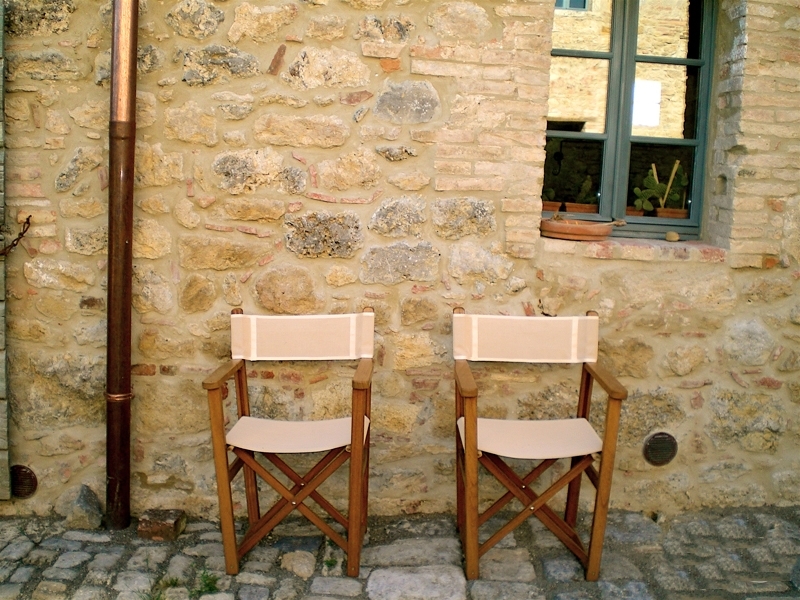 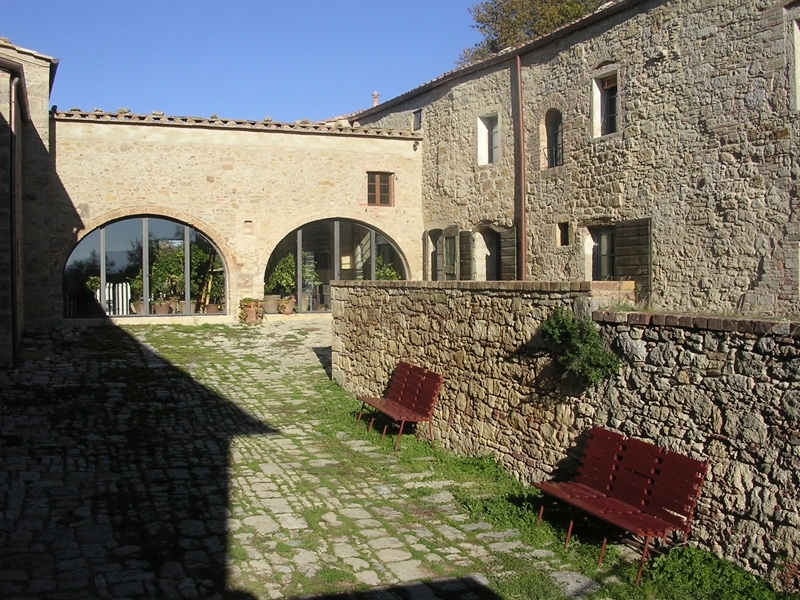 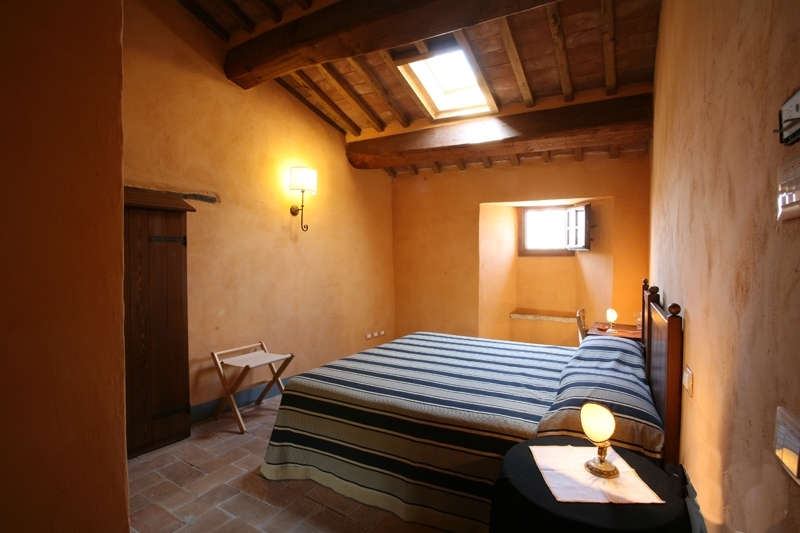 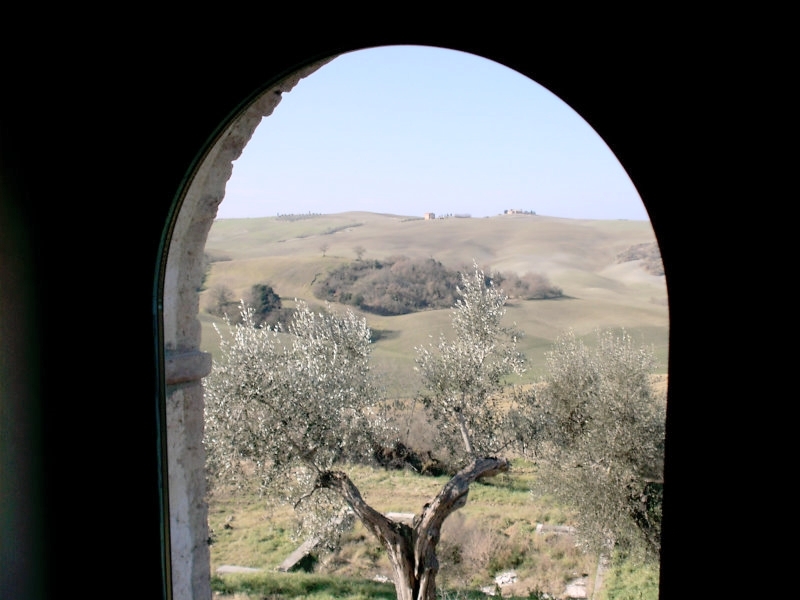 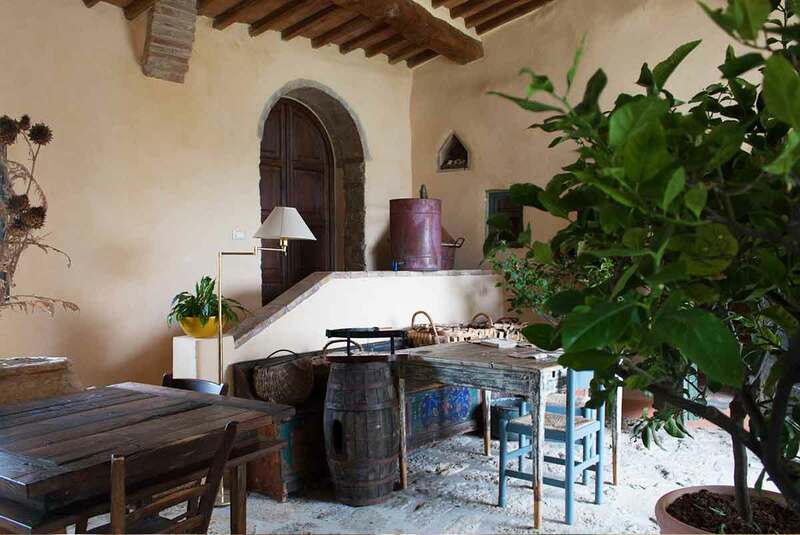 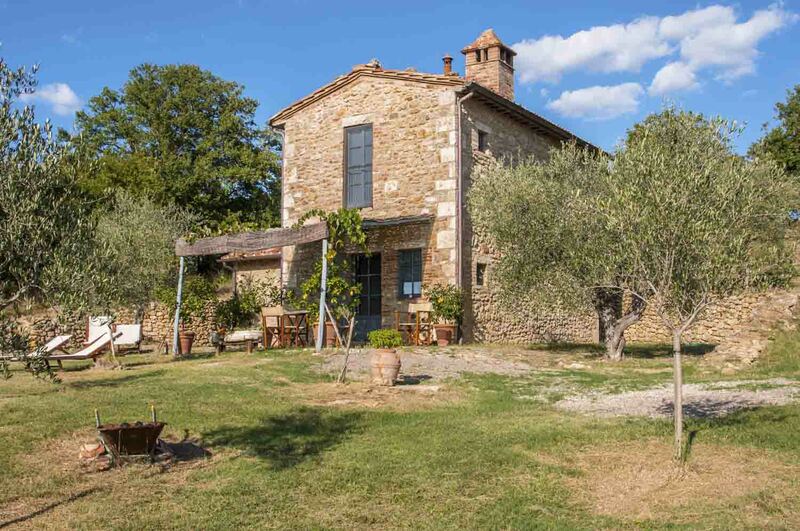 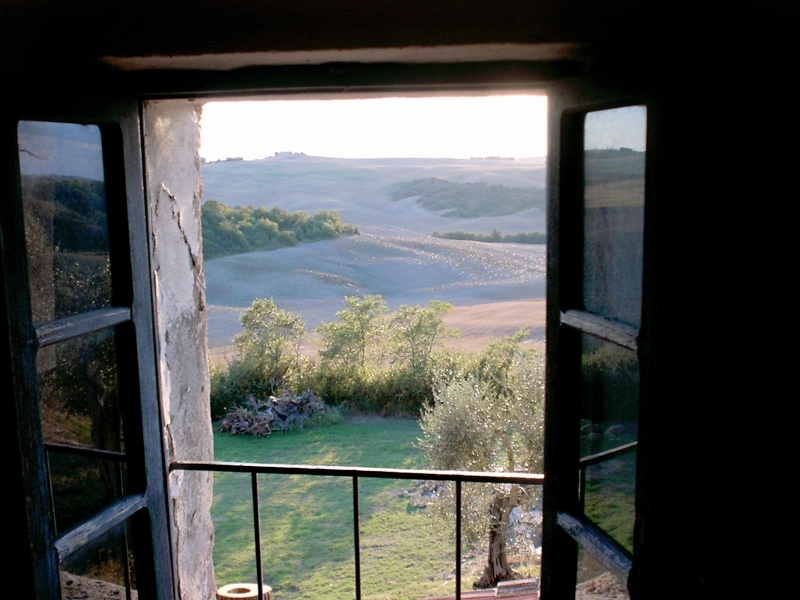 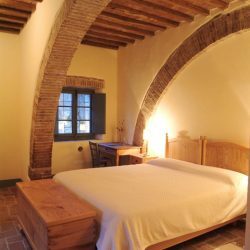 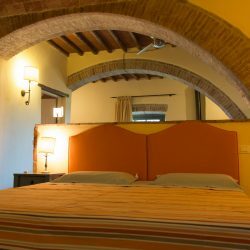 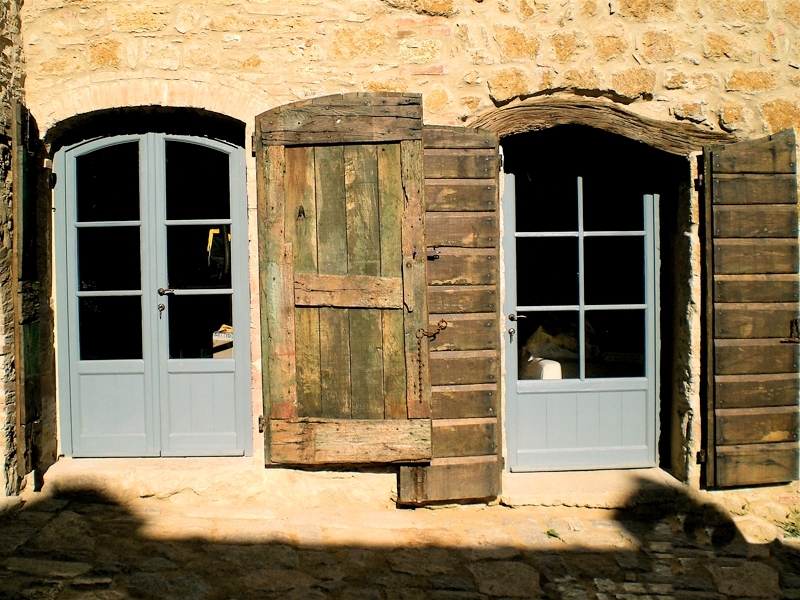 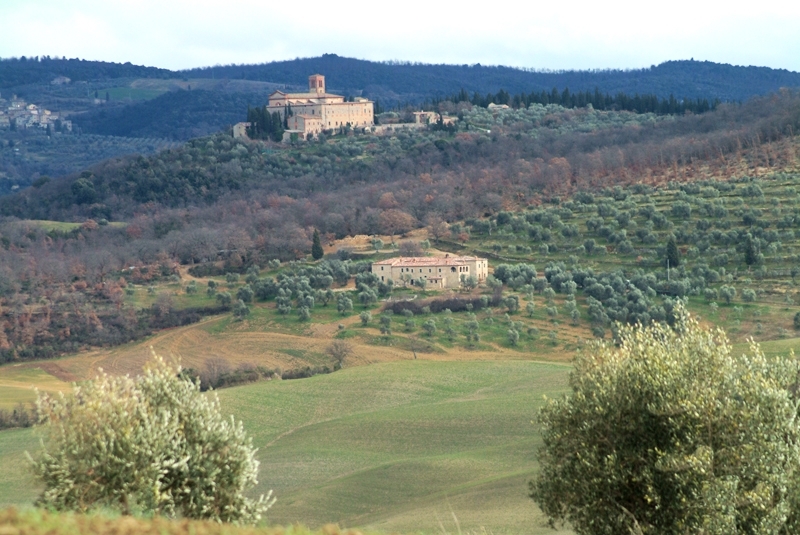 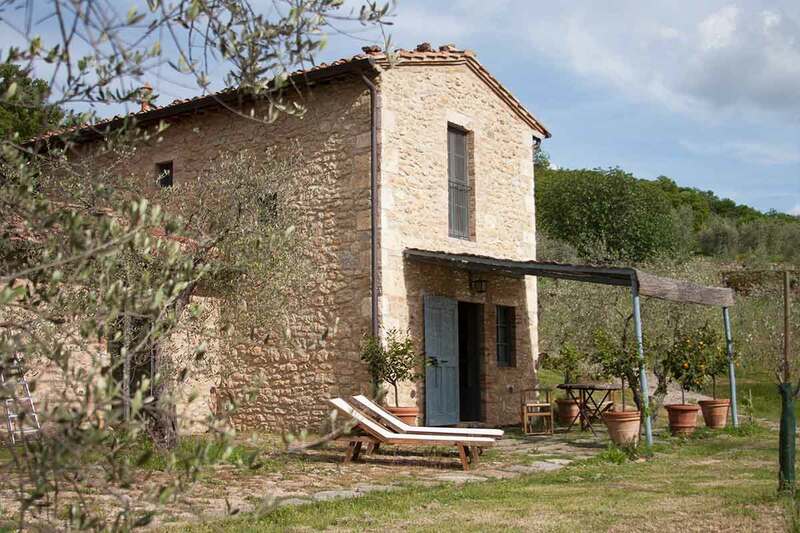 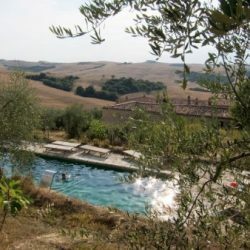 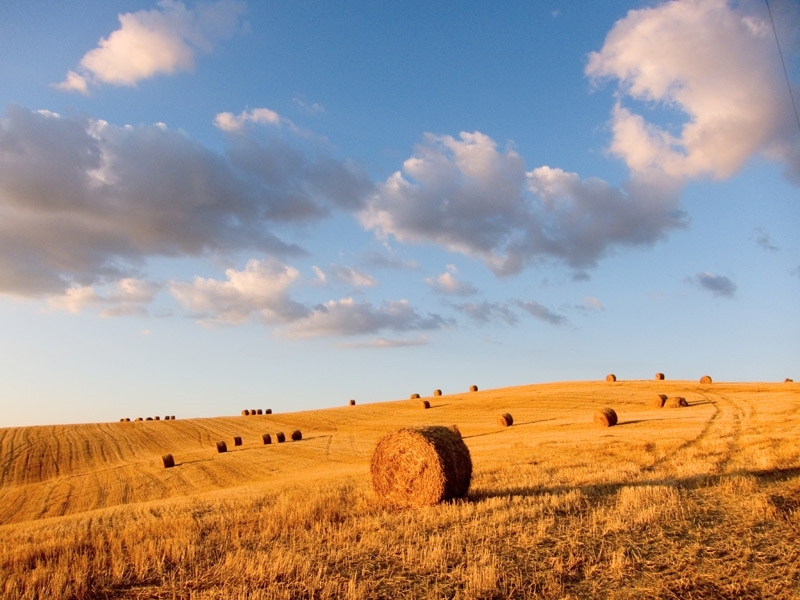 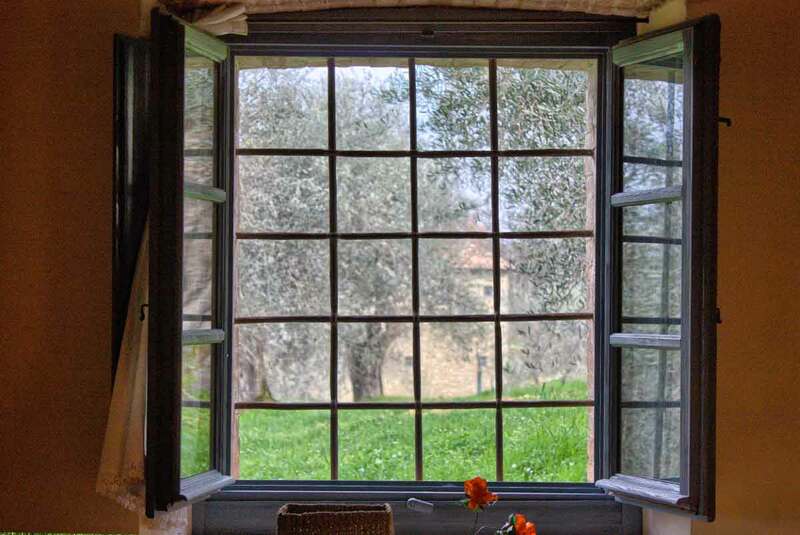 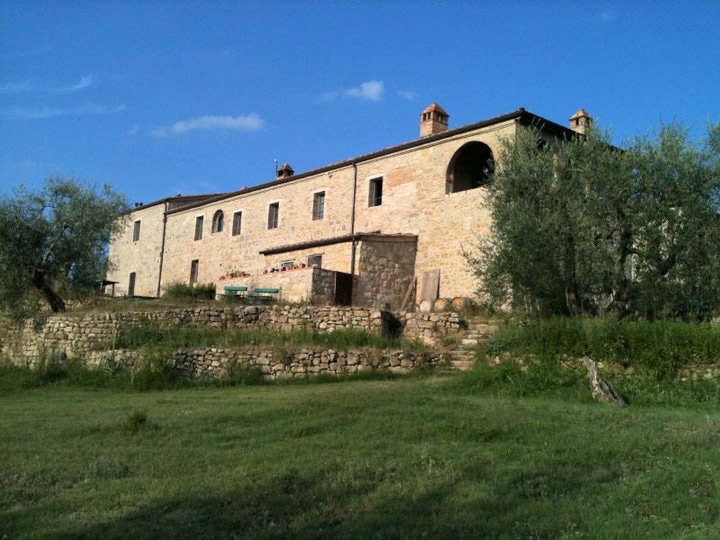 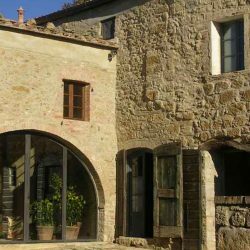 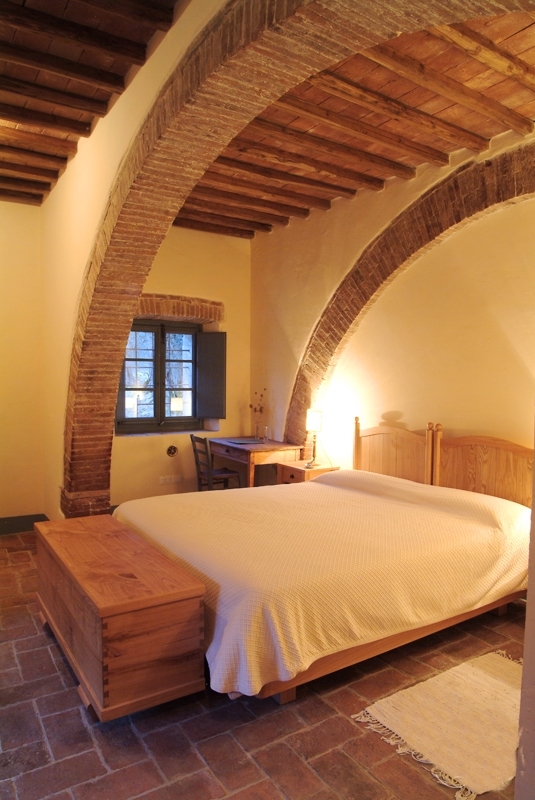 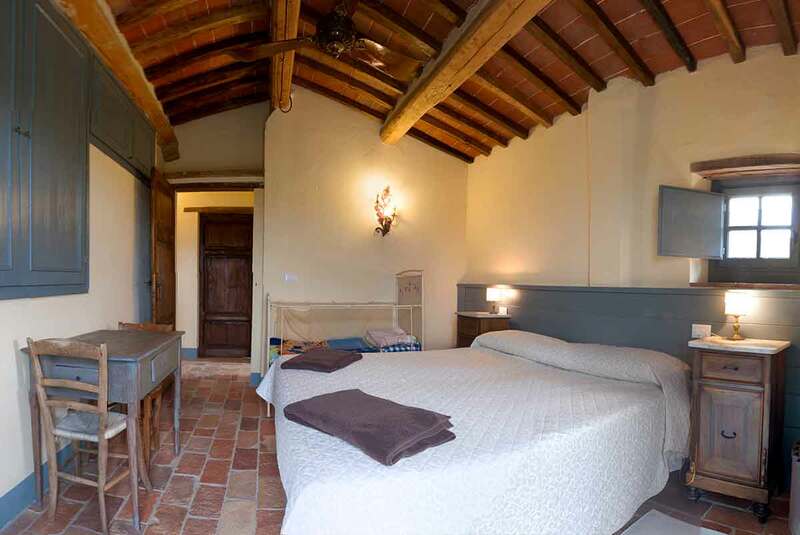 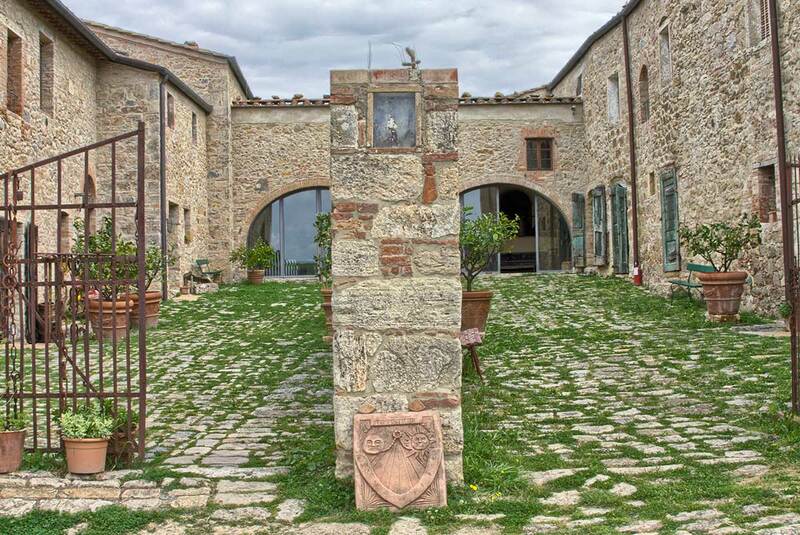 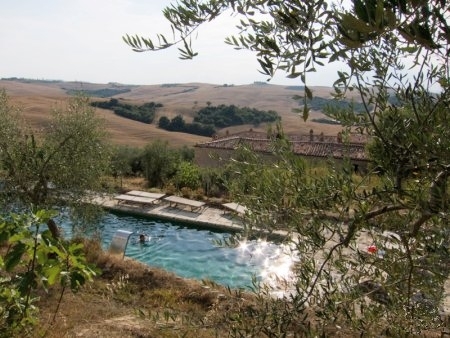 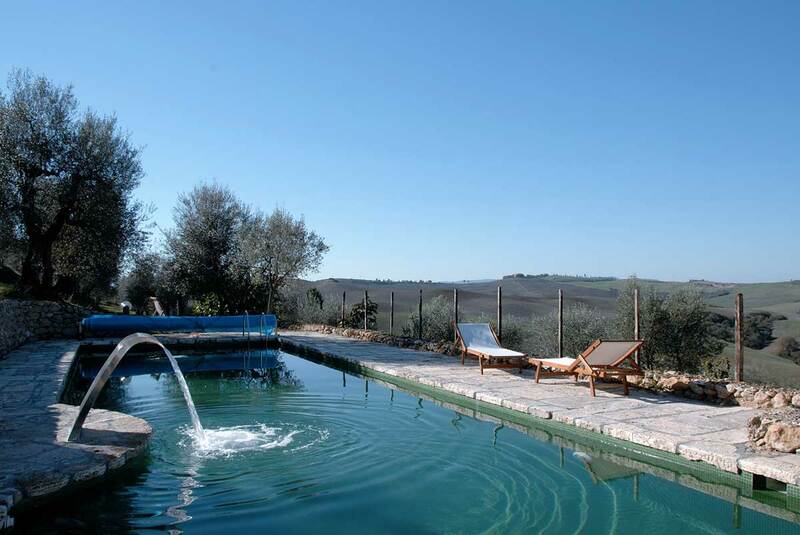 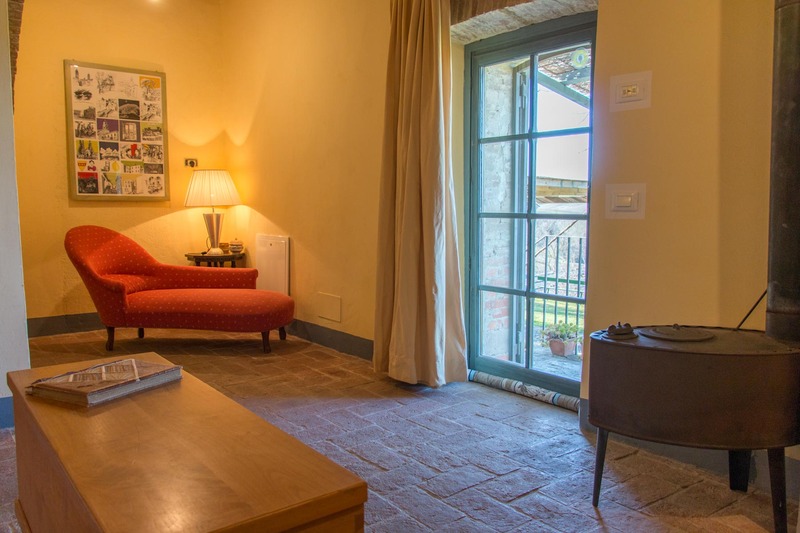 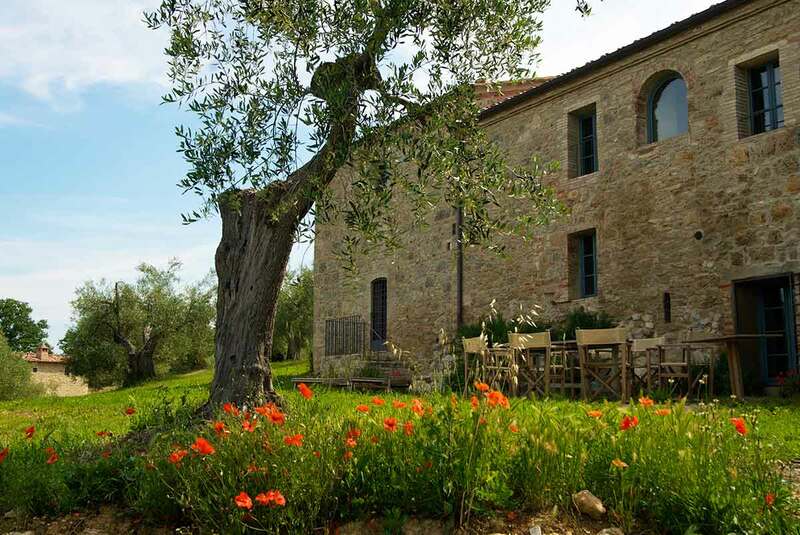 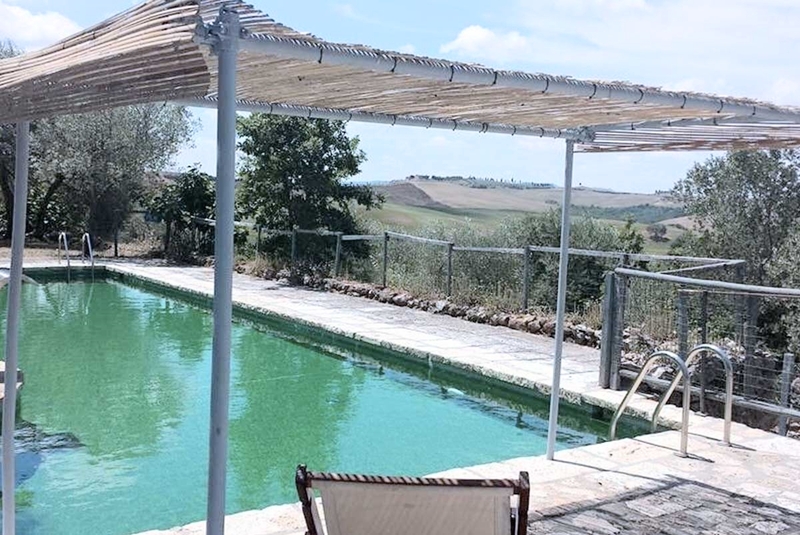 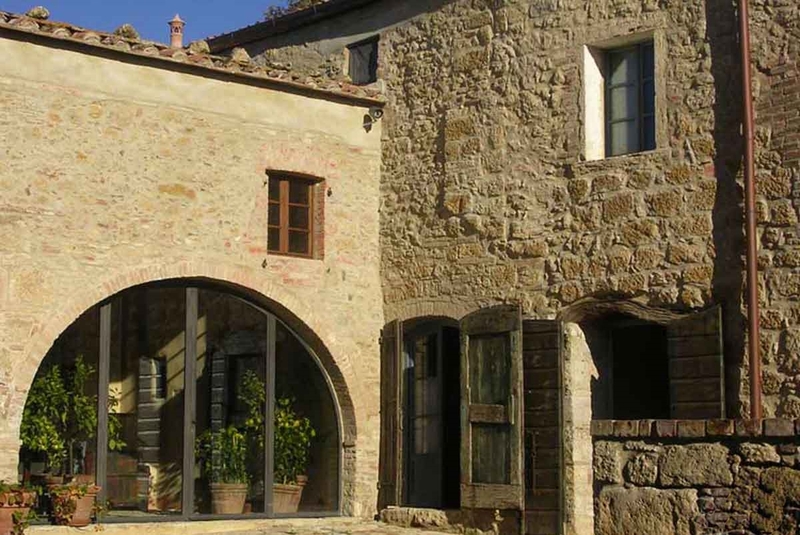 6km from Pienza, wonderful farm converted into apartments and suites, near the film location of The English Patient. 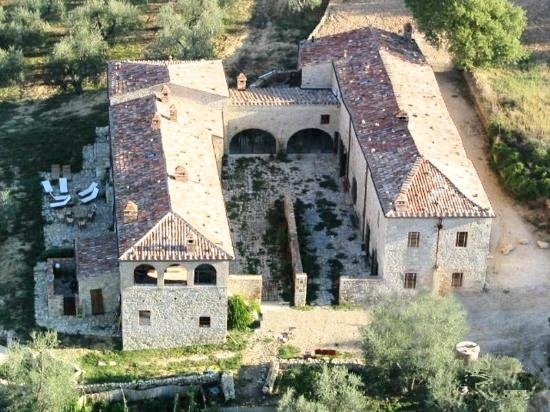 A total of 18 bedrooms. 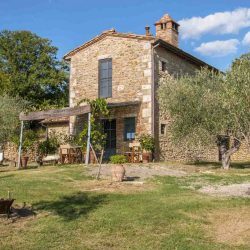 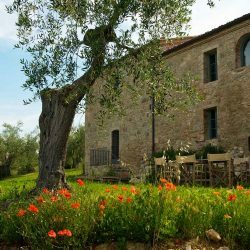 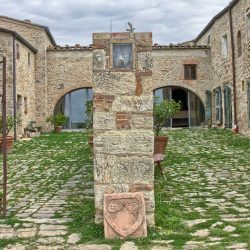 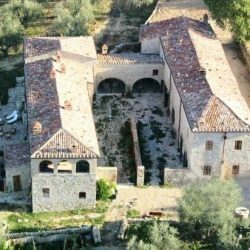 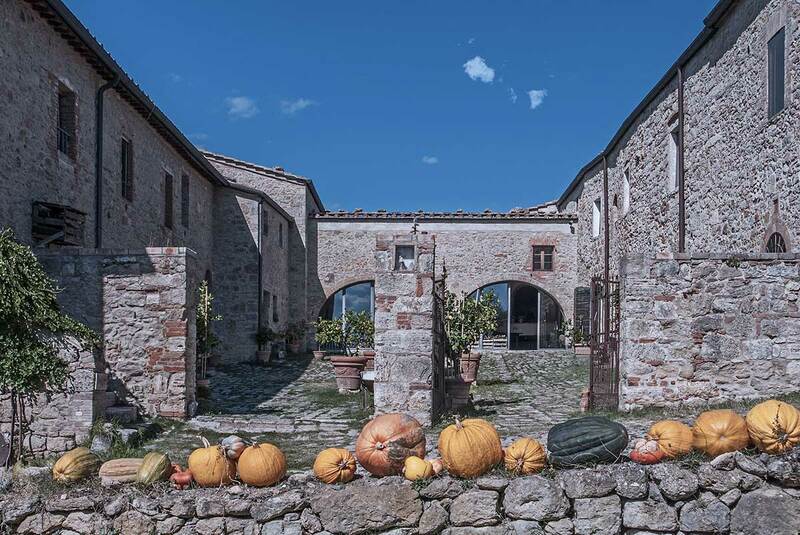 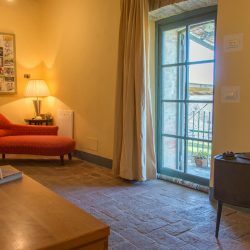 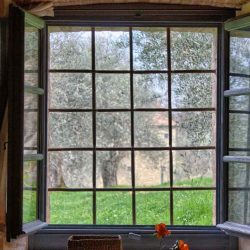 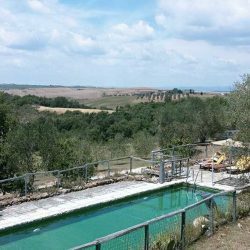 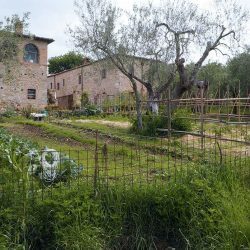 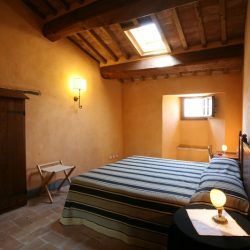 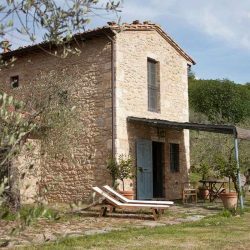 Just 6km north of Pienza, a wonderful farm converted into apartments and suites, situated near the filming location of The English Patient. 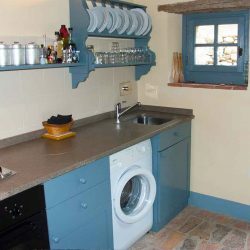 With many eco features such as energy saving, water saving. 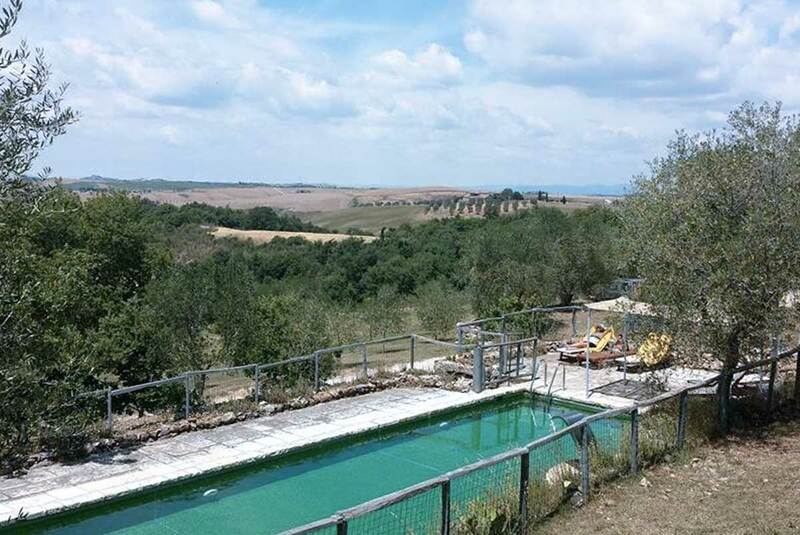 There is even thermal water present, a great resource. 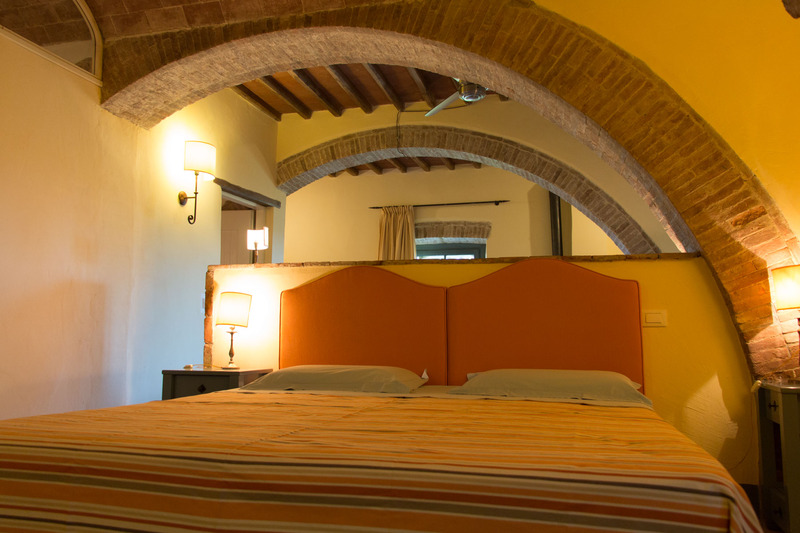 Consists of apartments/suites with a total of 18 bedrooms. 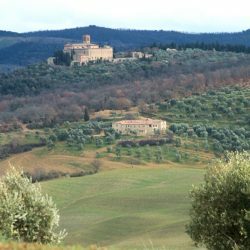 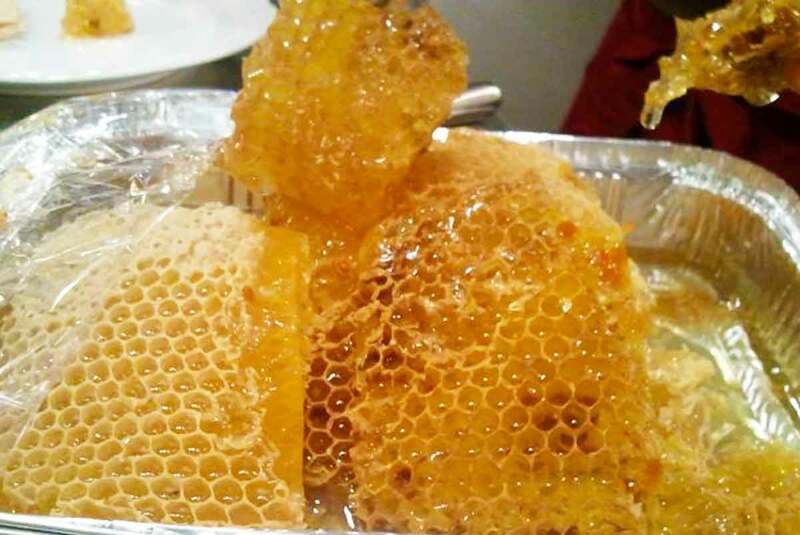 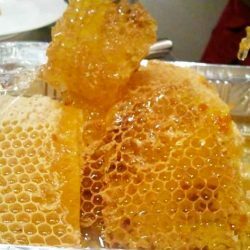 33.5 hectares of land including 6 hectares of olive groves, 25 hectares of woods, 2.5 hectares of wheat fields and fruit trees. 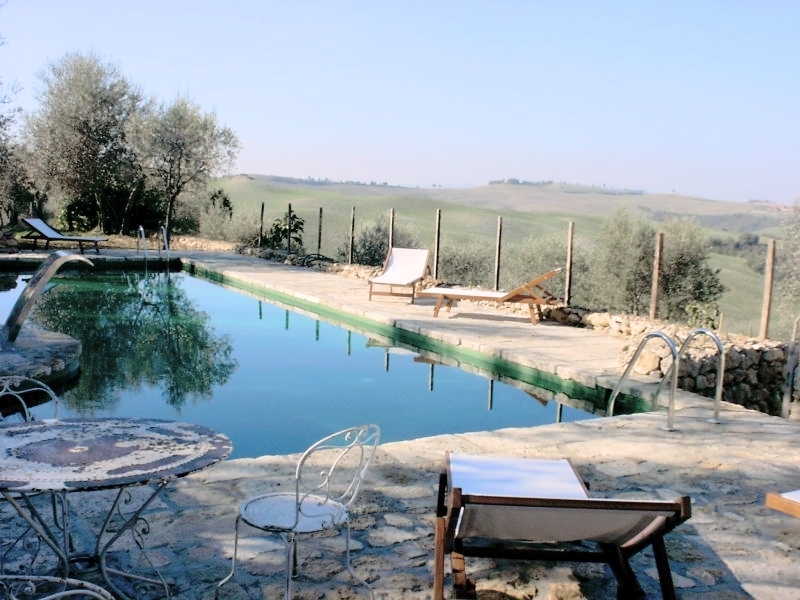 The ideal place to rejuvenate and reinvigorate the soul, senses and body. 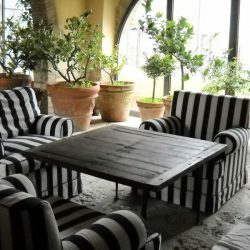 – Large conservatory “Limonaia” with fireplace, in which to relax, library with cosy reading area, and internet. 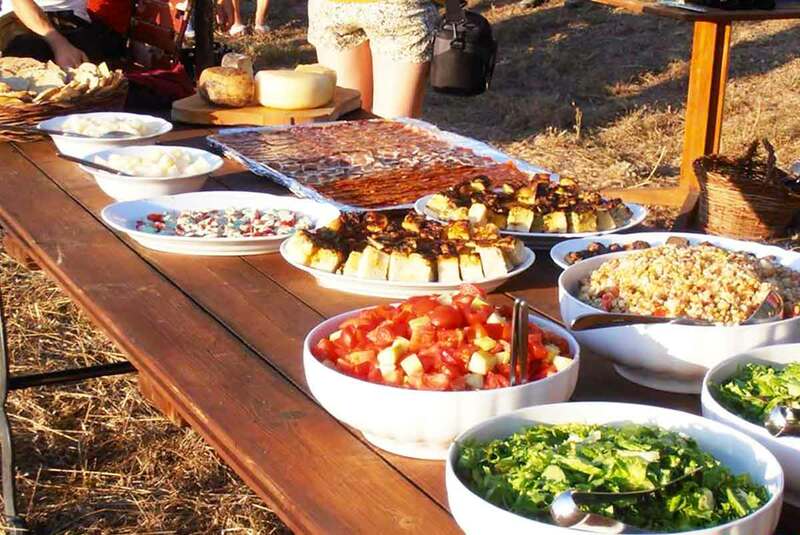 Everything done on the farm is designed to be environmentally friendly, especially by producing organic food, saving water and energy, recycling waste products and avoiding the use of pre-packaged and environmentally harmful products. 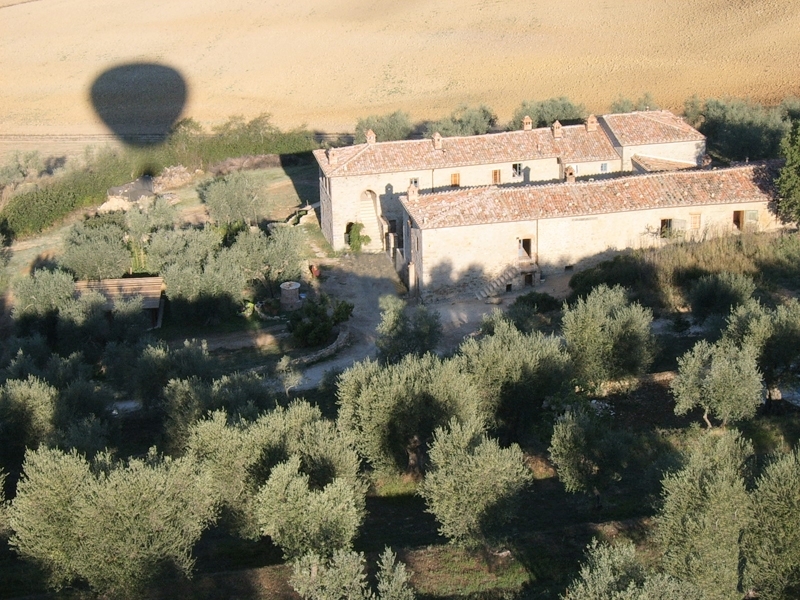 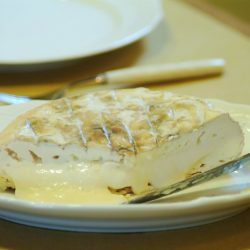 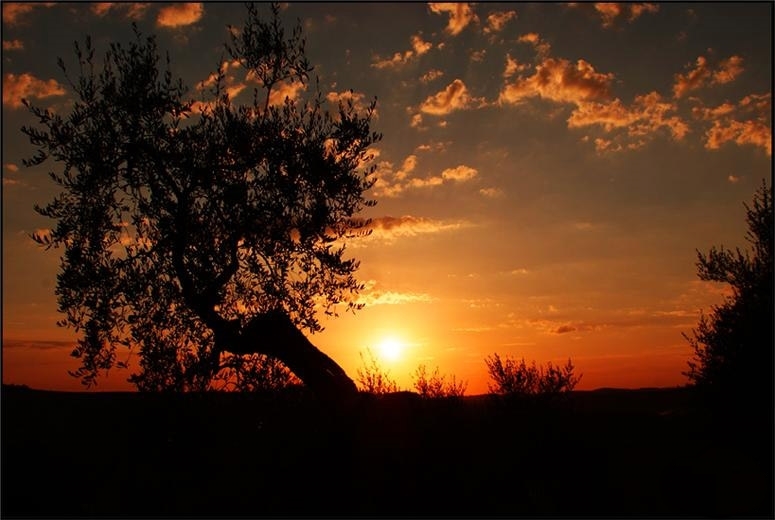 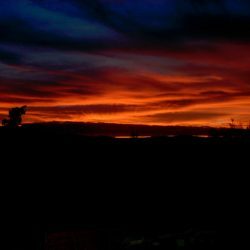 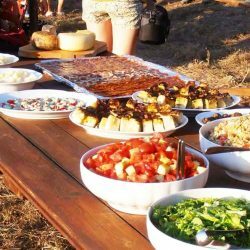 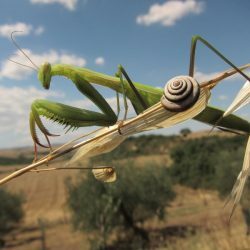 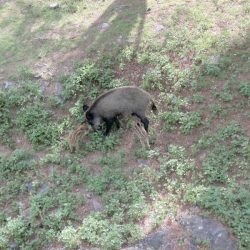 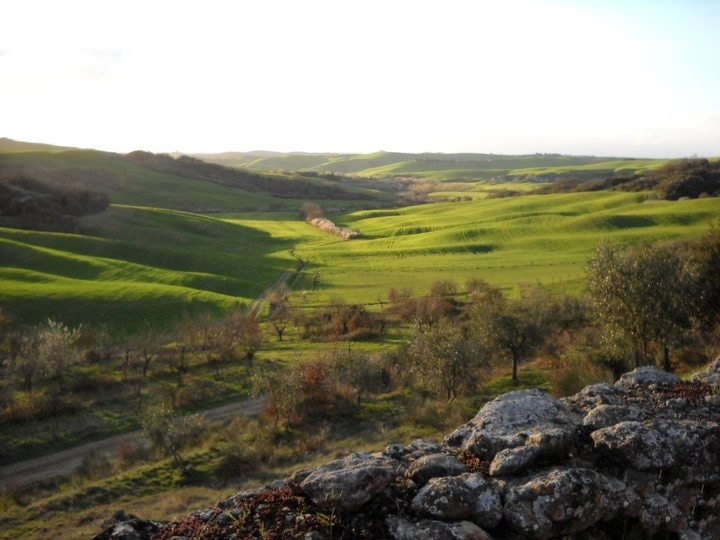 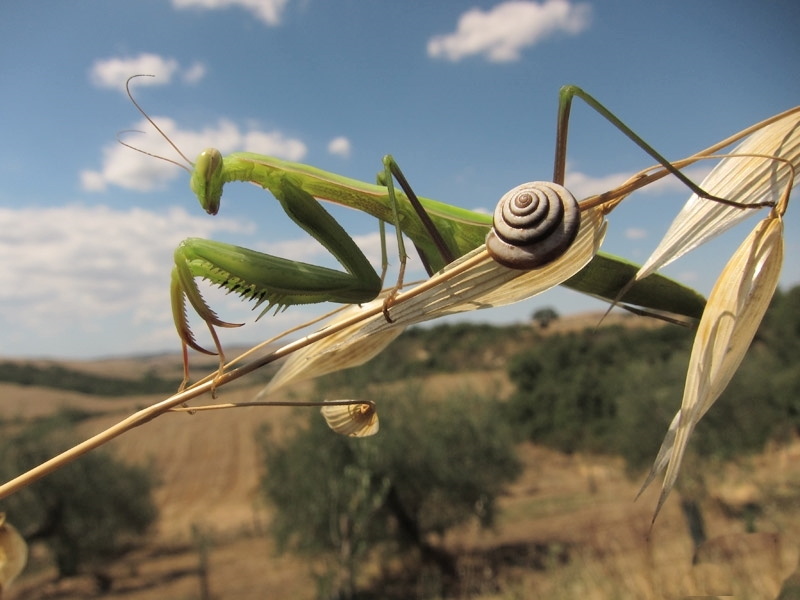 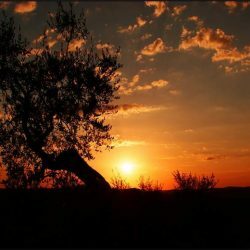 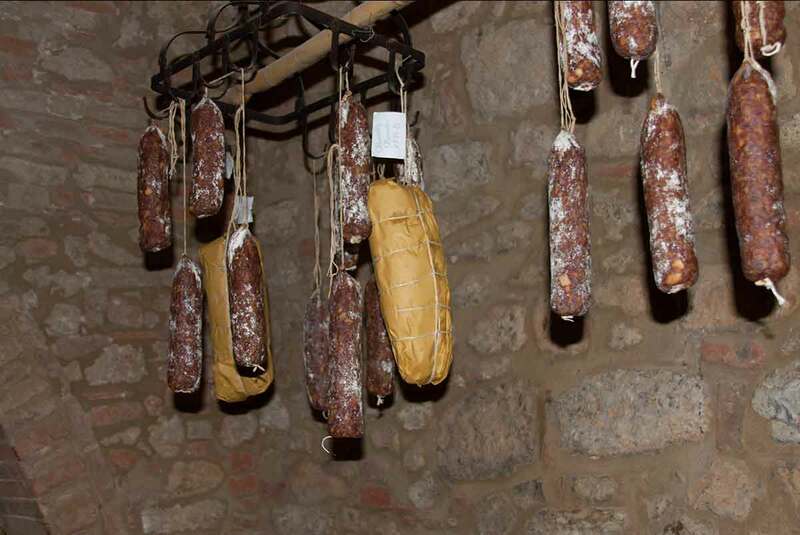 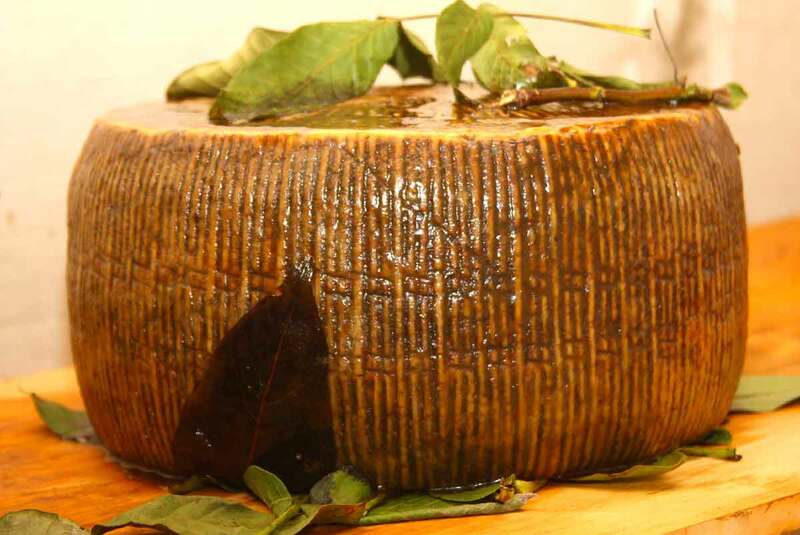 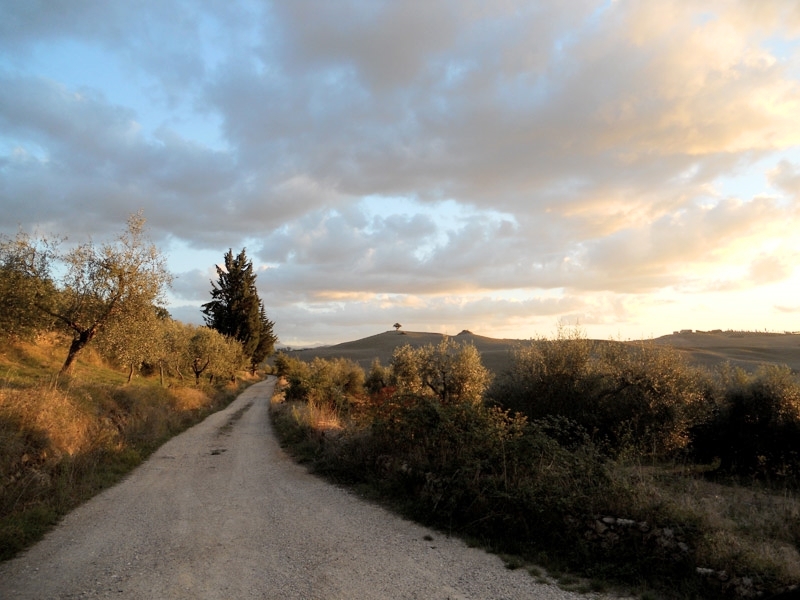 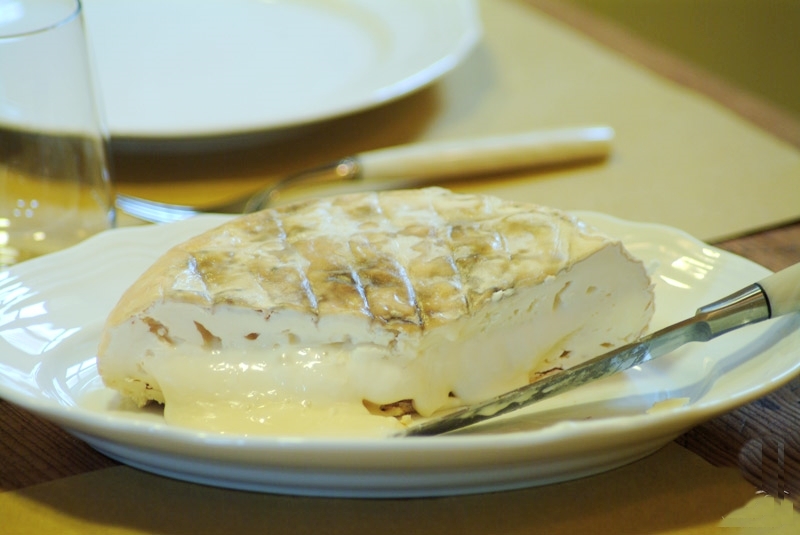 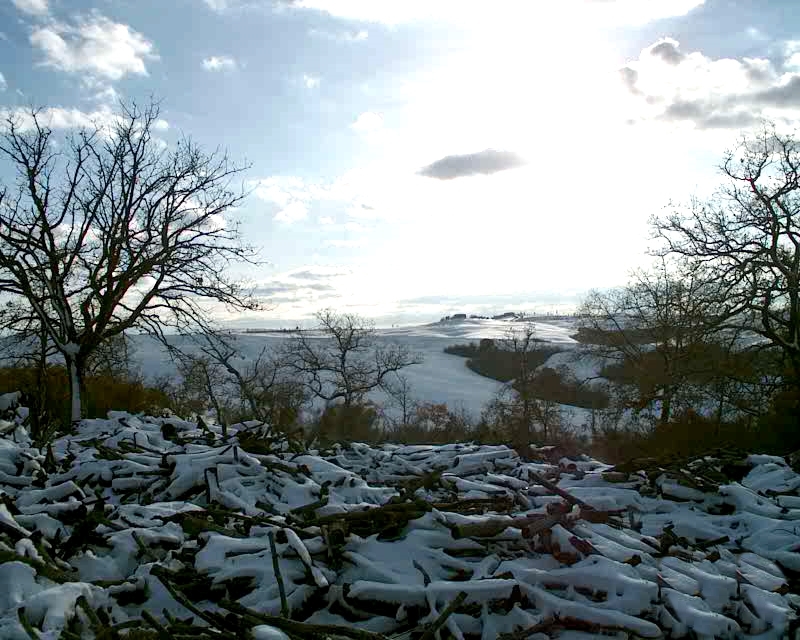 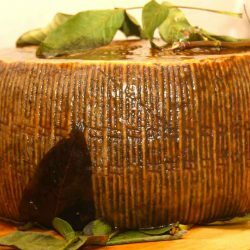 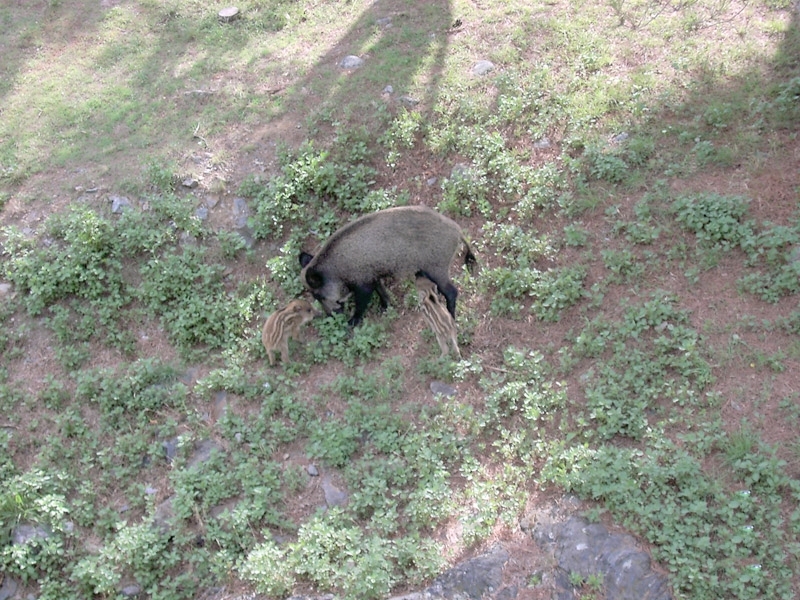 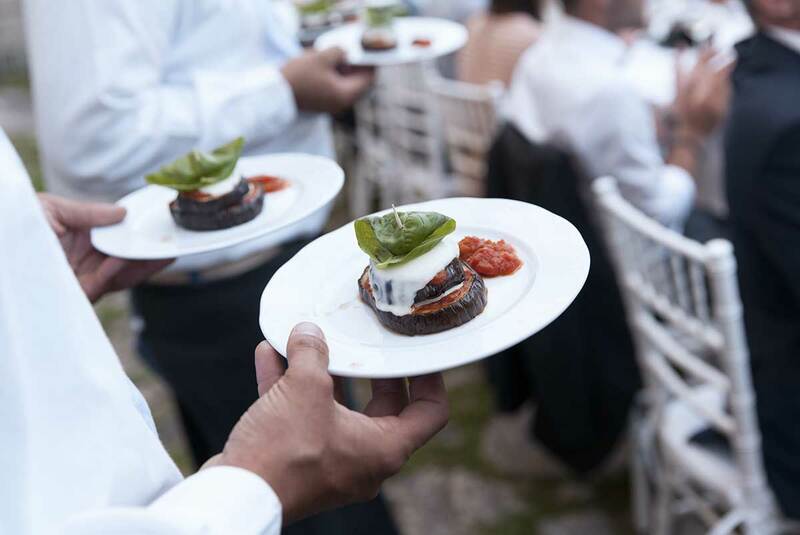 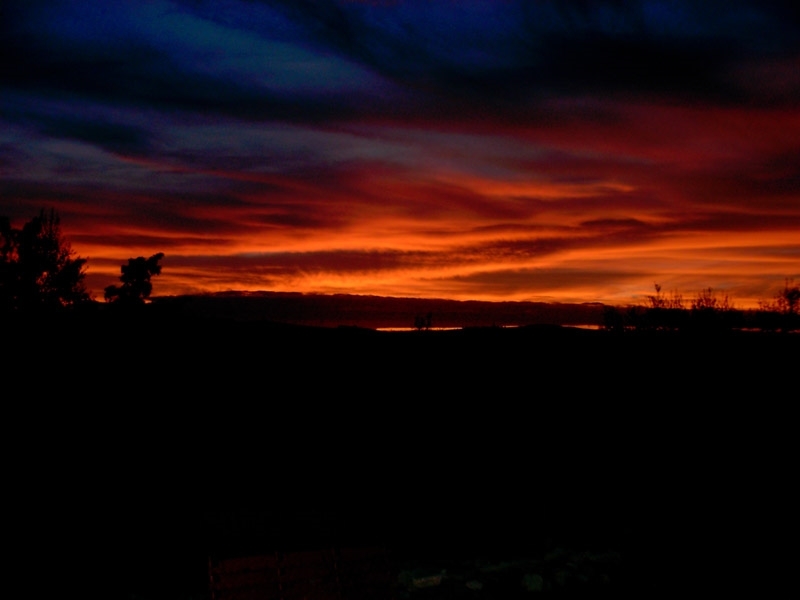 Fantastic cuisine, olive oil, enchanting walks along the trails that wind through the farm. 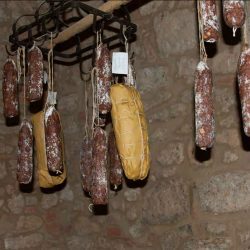 Organic extra virgin first cold pressed olive oil “DOP Terre di Siena”, salt and oil cured olives, dried wild capers, pickled products, such as wild forest mushrooms and asparagus, jams and spreads made from wild figs, grapes, blackberries and other fruit, salami and prosciutto from “cinta senese” pigs, free range farm eggs. 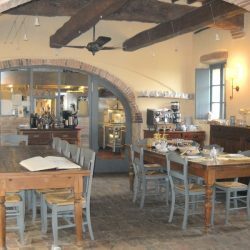 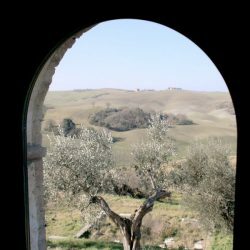 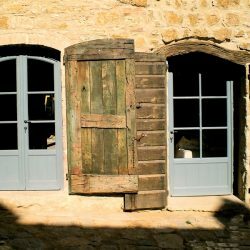 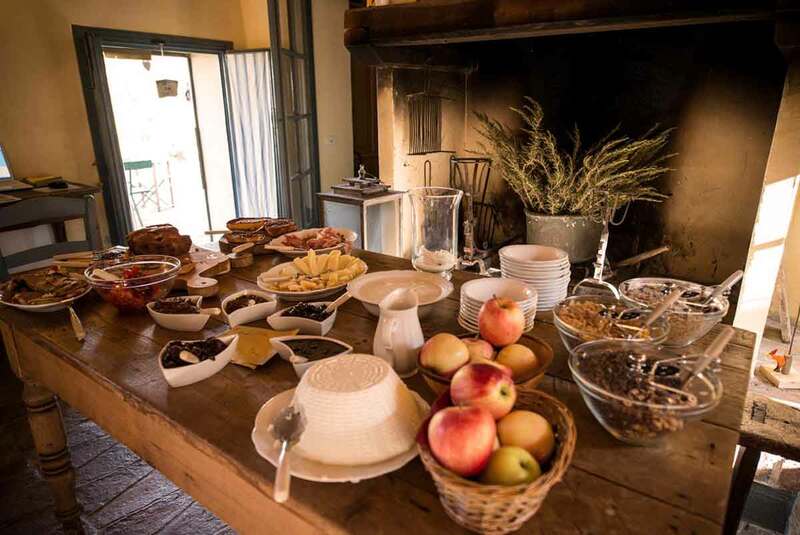 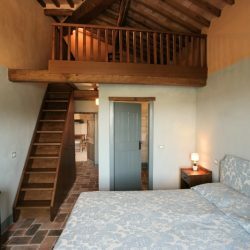 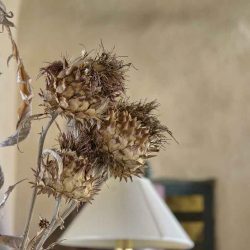 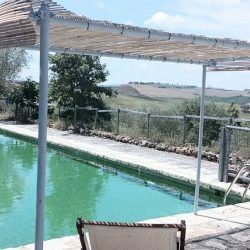 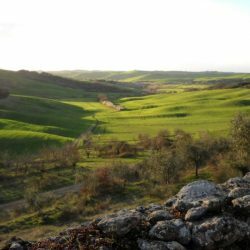 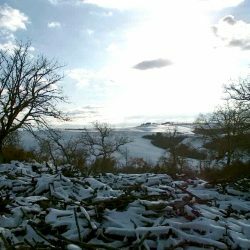 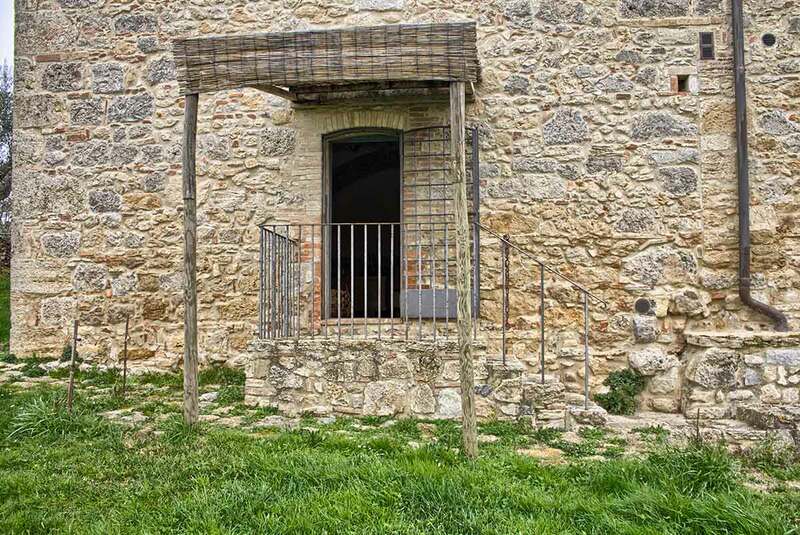 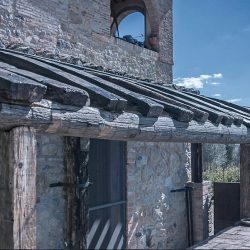 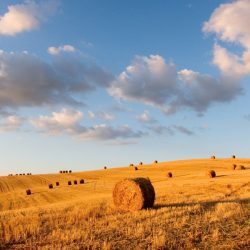 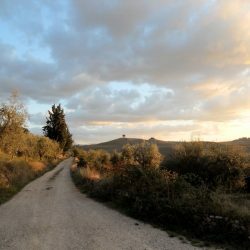 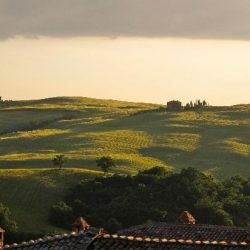 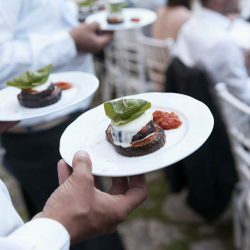 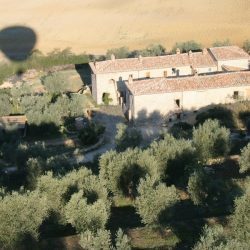 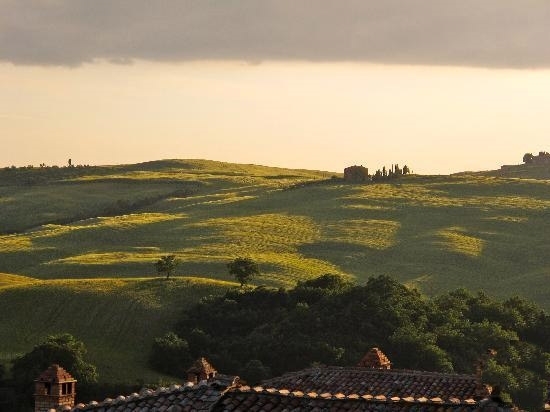 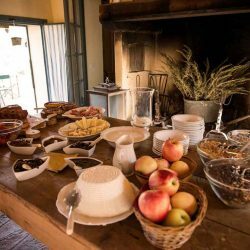 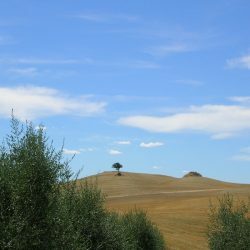 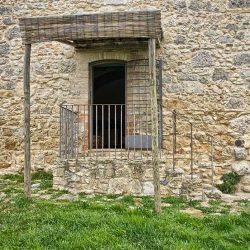 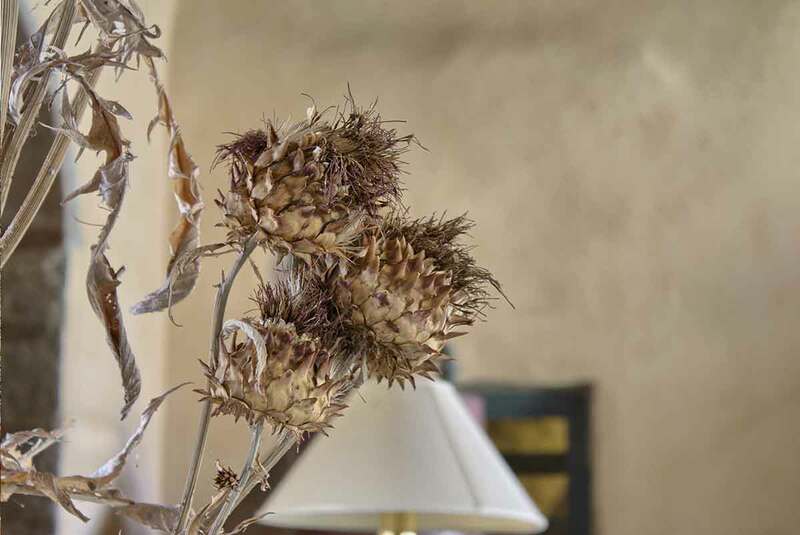 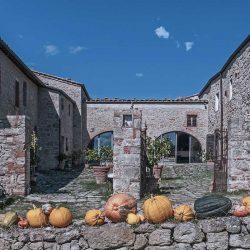 Nestled in the 15th Century olive grove among the gently rolling hills of the “Crete Senesi”, the property offers warm, genuine and natural hospitality. 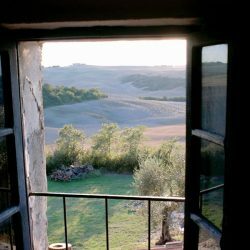 Silence and peace reign and time travels more slowly here. 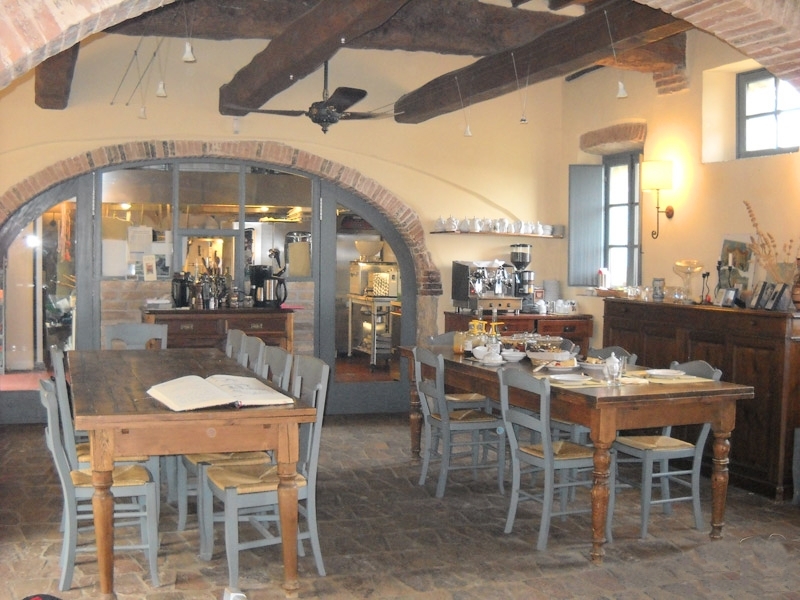 Fully equipped commercial kitchen (Angelo Po appliances), walk-in pantry, service area with changing room, toilet, and shower. 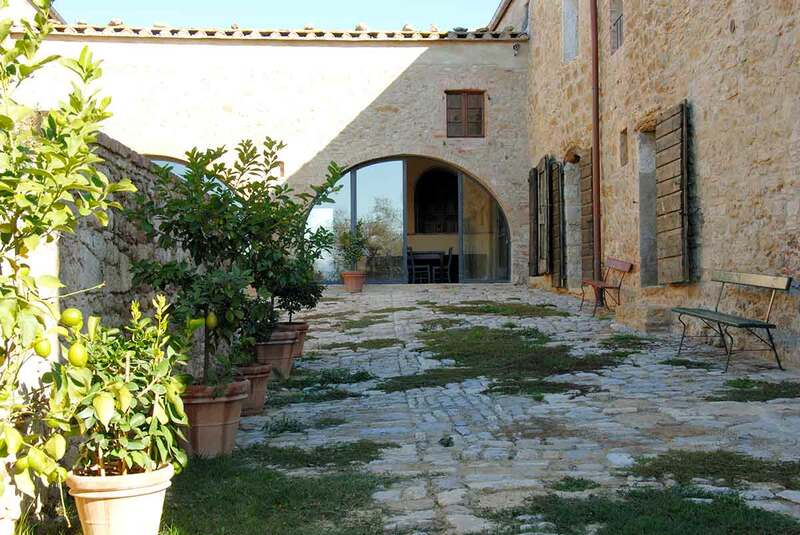 Large dining room (can seat 30+ persons) with 3 large tables, 2 large buffets, Tuscan fireplace, facing both the courtyard and western hills (with spectacular sunset views in the evening), large garden among the olive trees,with small herb garden on the west side; bathroom off of the dining room in hallway leading to the library. 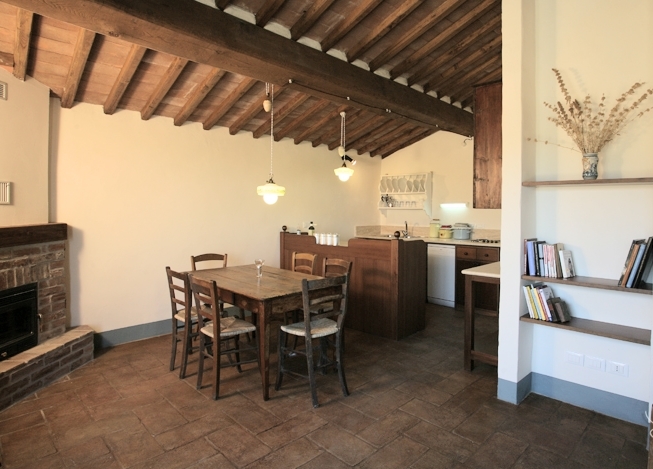 Library with wood floors, floor to ceiling bookcases and modern wood burning stove. 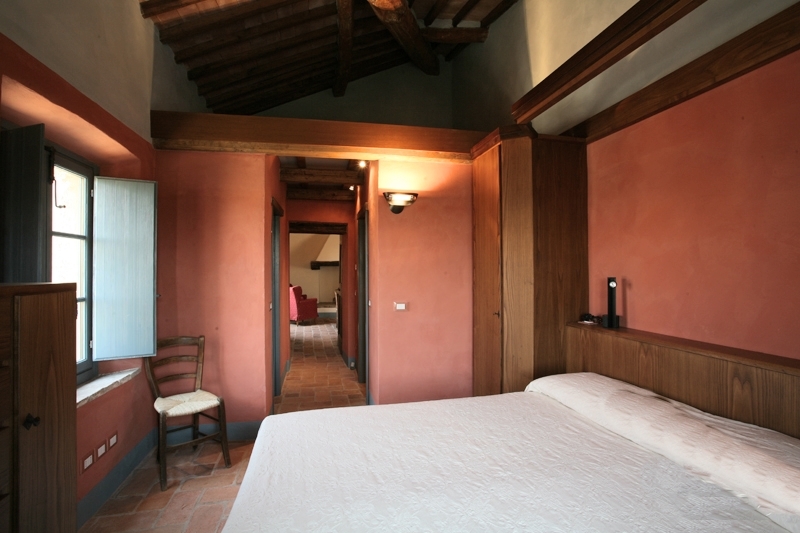 Off the library, two large bedrooms (each with en-suite bathroom), one with separate exterior door opening onto the west garden. 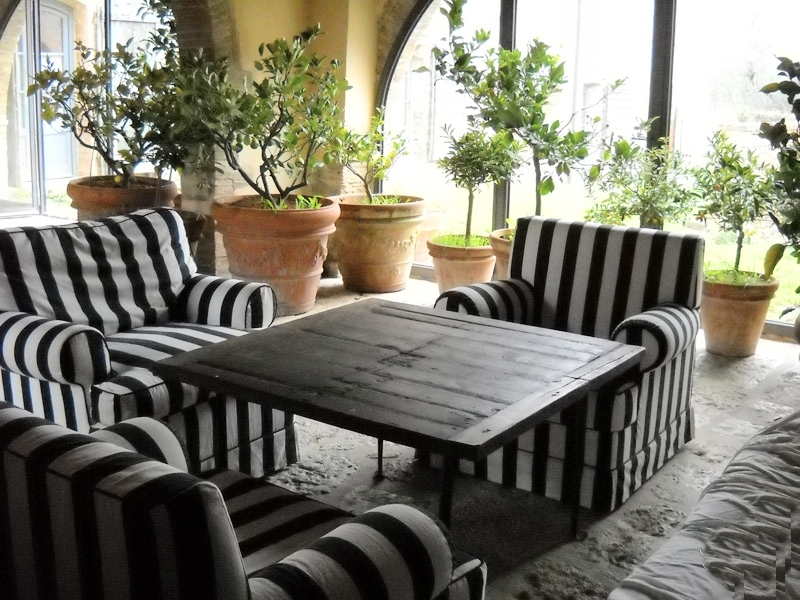 Large glassed-in conservatory/living area with Tuscan fireplace, linking the two wings. 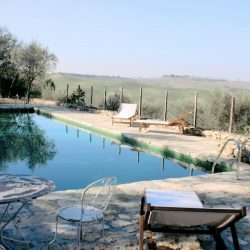 Off the conservatory, a fitness area with bathroom, massage area, Turkish bath and jacuzzi for 6 persons (located in the 15th Centry olive oil depository) and outdoor patio among the olive trees. 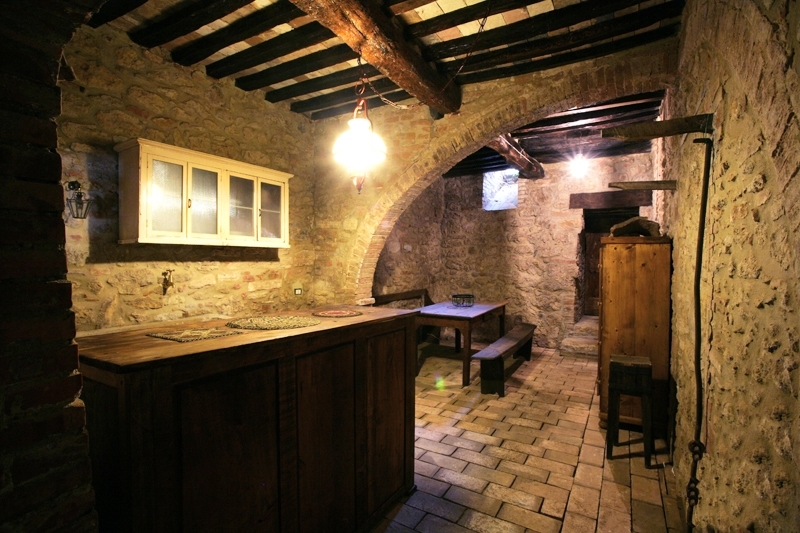 Off the conservatory, a very large cellar. 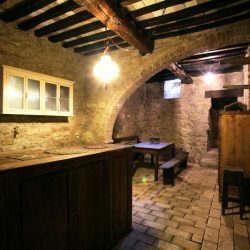 In the cellar, gas and/or wood burning heating systems, electrical system, heating pump, 16 Kw generator which automatically supplies energy in case of power outages; hot water storage system (7,000 litres). 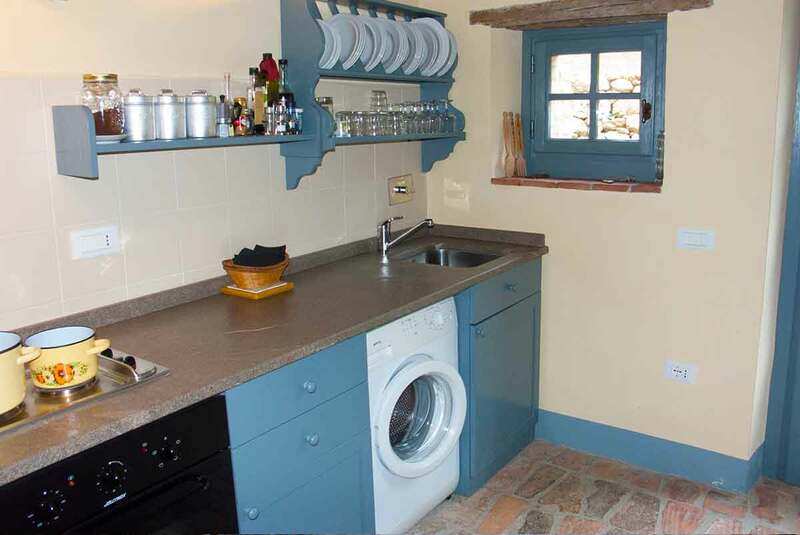 Fully equipped professional laundry room facing the central courtyard, with industrial size washing machine, dryer, linen pressing machine, elevator allowing for access to the upper level of the east wing without having to go through the courtyard, and service bathroom. 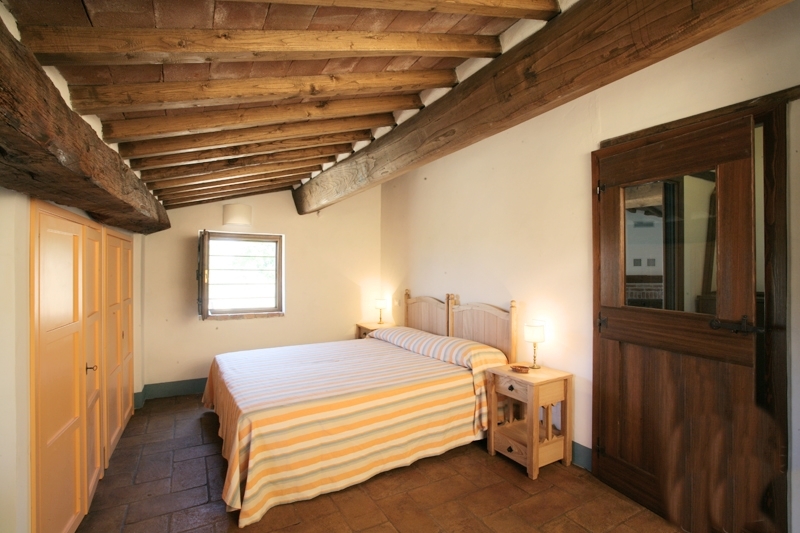 Four bedrooms facing the central courtyard, each with en-suite bathrooms, one of which has bunkbeds, and two of which are disabled-accessible (one of these has a separate living area for a companion or children). 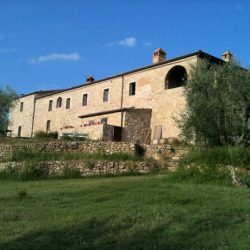 At the southern end, stairs up to a large loggia (small office to one side) and spectacular southern and western views of the Crete Senesi, leading to an apartment with living area/kitchen and ancient Tuscan fireplace (large enough to sit in) with both eastern and western views; fully equipped kitchen with both old-fashioned woodburning stove and modern electrical stove/oven, and two bedrooms overlooking the central courtyard, each with bathroom. 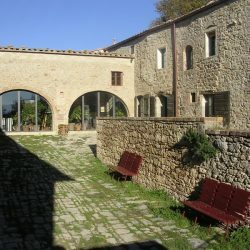 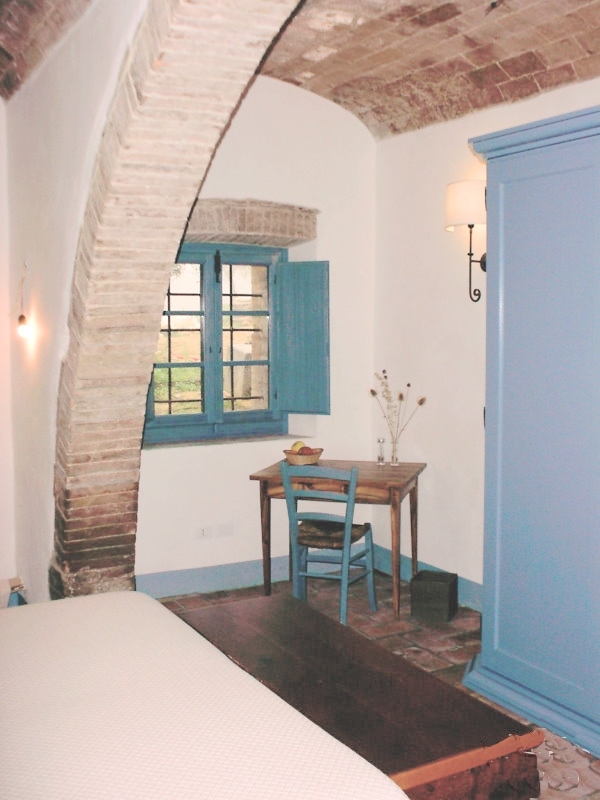 From the central courtyard, a staircase leading up to a second apartment comprising a small living area with ancient Tuscan fireplace, off of which a linen room, a small bedroom with en-suite bathroom, and a hallway leading to two large bedrooms, each with en-suite bathroom (one with a 2 person jacuzzi bath). 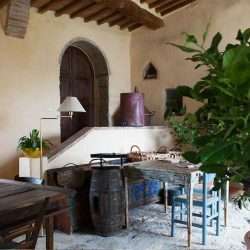 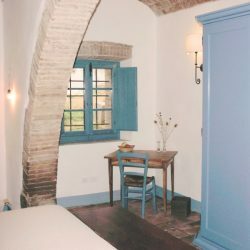 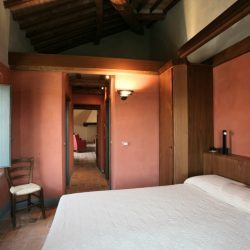 Staircase on the east side leading to a fully equipped apartment with large living area with ancient Tuscan fireplace, large antique marble (travertino) sink and kitchenette, off of which, three bedrooms each with en-suite bathroom. 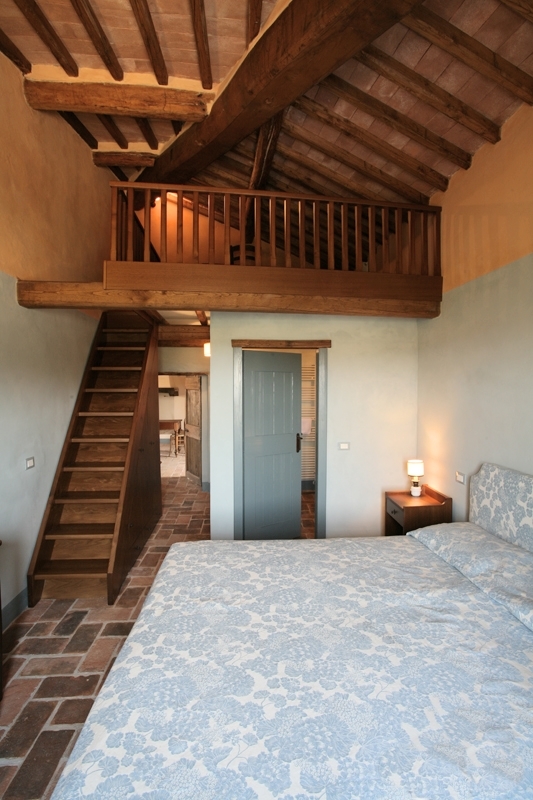 On the east side, three more bedrooms, each with separate entrance and en-suite bathroom. 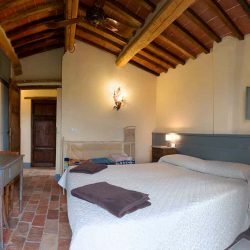 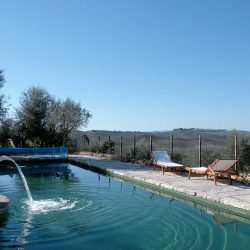 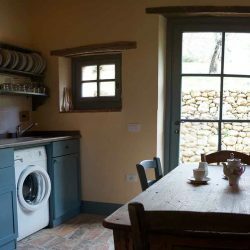 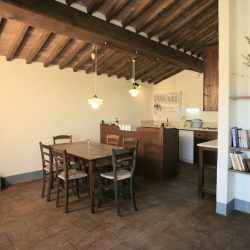 On the north side, a fully equipped apartment with large French doors, living room, kitchen (with dishwasher), bedroom and bathroom, and separate terrace facing east and west overlooking the olive grove and with vegetable garden. 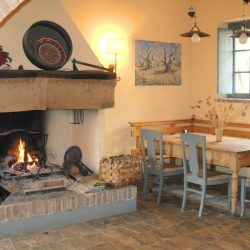 The heating./electricity is autonomous from the rest of the main house. 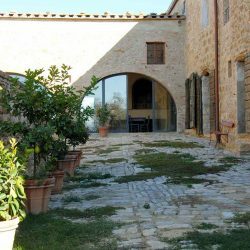 Separate house (125 square metres or 1,345 square feet) located in the olive grove about 70 m north of the main house, comprising patio facing west from which there are spectacular sunsets, a living room with fireplace and fully equipped kitchen (with washing machine) on the ground floor, and two bedrooms and a bathroom upstairs. 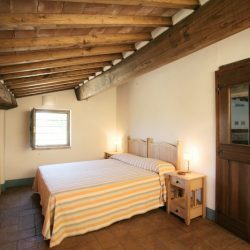 A separate room on the ground floor (currently used as the olive oil storage), can easily be integrated into the main house and turned into a large bedroom with glass walls/doors on two sides, and bathroom with shower (its doorway to the rest of the house is currently closed off with plywood/plaster). 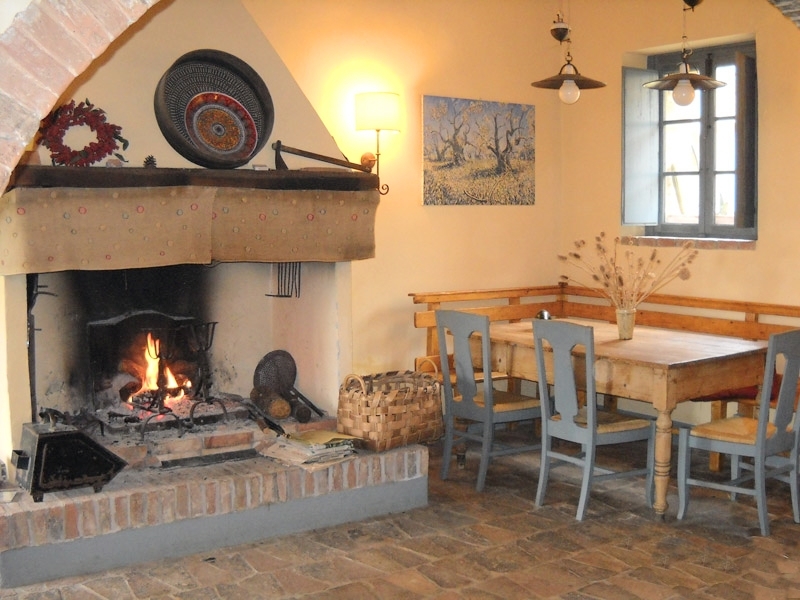 The heating/electricity is completely autonomous from the main house.